Ida Rønshaugen (b.1985) comes from Harpefoss in Gudbrandsdalen, Norway. Her interests in music started early in life, and as a nine year old she was introduced to the saxophone. 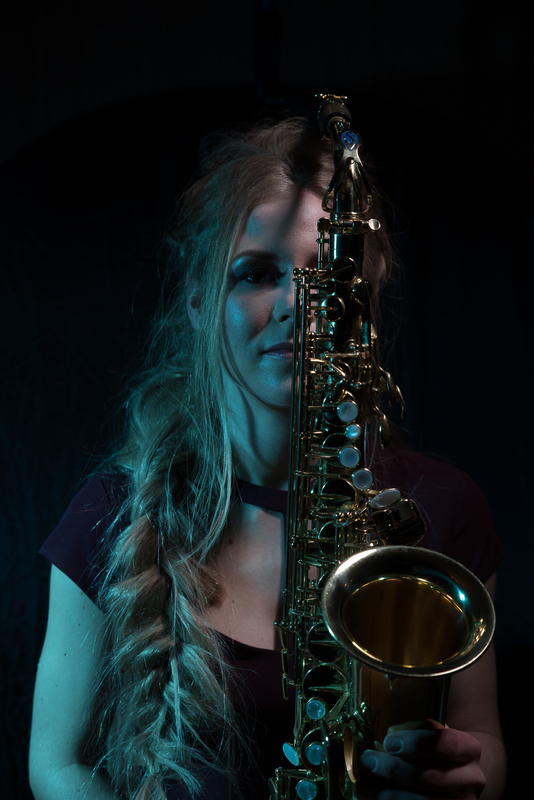 Ida was the lead saxophonist in the bigband “Fossajazz” from she was 14, and that became her first real meeting with jazz.25th of January 2013 Ida released her debut album "The Blue and Wise Cats". Musicians participating on the record is Jens Andreas Kleiven on piano, Roger Arntzen on double bass and Tore Sandbakken on drums. "The Blue and Wise Cats" was recorded in Prøvesal 3 at the Norwegian Opera and Ballet in June 2012. "The Blue and Wise Cats" got remarkably good feedback and has been placed on the top sales lists in the jazz category at Platekompaniet and at Bare Jazz (Jazz Record Store in Oslo). Her tunes from the album has been played on the radio channels NRK P1, NRK P2, P4 and on NRK Jazz (NRK= The Norwegian Broadcasting Corporation). Her music has also been played in radio channels in Mexico and Brazil, and got attention in Chilean press. In 2017 Ida released her second album "Storm". This album is based on a solo project around a Boss RC-300. Ida plays all the instruments herself, except the cello, which was played by the brilliant Katrine Schiøtt. The album got amazing feedback, and some of the tunes has also been used in the norwegian documentary "Hestegjeteren fra sikkilsdalen" by the Norwegian Broadcasting Corporation. Ida has played in different countries such as Denmark, England, Holland, Ireland and Lebanon, among others. Ida´s music has strong nordic roots, and meditative moods and sounds are often essential in her music. The tunes can often have a distinct melody, and can be melancholic and introverted, or light and playful. You will find her music on Spotify, Tidal, iTunes and Amazon, and in certain record shops. Please feel free to contact Ida if you are interesting in getting a cd in the mail.